During the month of October, TwispWorks is participating in Give Methow to raise funds to support our Healthy Economy Programs. Give Methow is a 30-day fundraising campaign sponsored by the Community Foundation of North Central Washington (CNFCW) that provides people the opportunity to learn about nonprofit agencies in the Methow Valley and support their work. TwispWorks delivers a suite of Healthy Economy programs and services for individuals, businesses and industries to help foster economic vitality in the Methow Valley. Your donation will support programs helping people gain skills and secure living wage jobs, services supporting the start or growth of a local business and services supporting key industries to ensure a diversified and sustainable local economy. 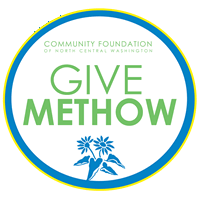 Monies given through Give Methow receive a partial match through a stretch pool of funds and the CNFCW is taking care of all credit card fees, so your contribution will make an even bigger impact.